Haynes Service and Repair manuals set the standard for high quality, easy-to-follow mechanical repair and service information. 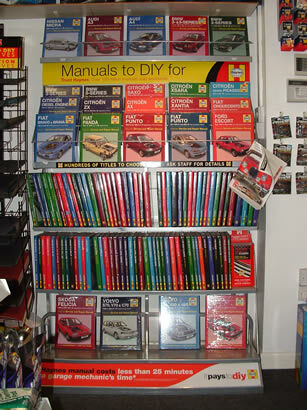 If you are looking for a particular manual, call or visit The Parts Store. Choose The Parts Store for all your motoring parts with local professional service - saving you time and money.